We’re back with the second part of our complete Underworld Football Manager 2016 strategy guide, and as you can see, this is such a complex game that it needed two strategy guides to fit all the relevant tips. As a refresher on what this game is about, this is a football (or soccer) management game that comes with a couple unusual selling points that set it apart from Football Manager, Championship Manager, and other similar titles. First is the social element in the game – no dopey AI opponents here, as all the teams you’ll be facing are human-controlled, hence the repeated mentions of “real-life opponents” in the game. (Bit of a pet peeve as it could be misleading, but that’s what they mean.) The second selling point? The ability to use dirty tactics to beat your opponents. 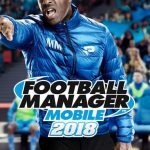 Where can you find a football management game with such a feature? As we’ve seen so far, this iOS and Android game (from Stanga Games) is the only one that has it. As sabotaging your opponents is one of the most important aspects of this game, that will be one of the main topics of this new strategy guide, although we’ve also included some tips on how the city-building element (yet another selling point) works in this game, and how you can do those seemingly tedious things required to keep your club in tip-top shape. Underworld Football Manager differs from other management games by adding a “Mafia” element to the game – if you’ve got a tough opponent that appears hard to beat, you can sabotage them. Of course, you can go through the match the honest way, hoping against hope you can pull off the upset but ultimately suffering an ignominious 4-0 loss. But you can also sabotage them through a number of ways – attacking, bribery, or vandalism. Either technique could help you get that upset victory over a more powerful rival, though there is a catch to using these shenanigans against an opponent. There’s a chance you may be arrested, and a chance the cops may throw you in jail for using dirty tactics. And there’s also a chance your opponent may demand payback, and try to sabotage you as well. All’s fair in love and war, as they always say. Attacking is the first form of sabotage you can use in the game, and you can do this by buying a baseball bat or voodoo doll in the Pawn Shop. Once you’ve bought your weapon of choice, you can head to your opponent’s stadium and pick the player you want to target. 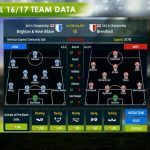 Ideally, you want to attack someone who’s in the first eleven, as they’re the ones who are most likely to contribute in the game. Once you’ve attacked someone, they will be injured for a certain period of time, and they may either be completely unavailable for their next match, or may be docked some points from their attributes if they still play anyway. You can also buy Defend items from the Pawn Shop, which will naturally be used to protect your team from a rival’s attacks. And as a bonus tip, you can even attack your own players. Looking for a creative way to penalize someone who’s underperforming? Go attack them if you wish, though that probably won’t force them to be more competent on the pitch. After the Attack option, Vandalism will become available once you reach level 15. This option allows you to attack the buildings belonging to your opponent, such as their Stadium or Exhibition Ground. Vandalizing a building would reduce its level by one to three steps, which may not sound like much, but could actually have a broad impact on your opponent’s club in general. And when it comes to protecting yourself against vandalism attempts, you’ve got police protecting your facilities. Make sure you upgrade your Police Station as early as possible, so as to allow more cops to protect your buildings in the event someone tries to vandalize them. 4. How Does Bribery Work? Bribery is the final sabotage option that you can unlock, and it becomes available once you’ve mastered both Attack and Vandalism. We find this a bit unusual, as bribing an opponent takes much less physical effort in the real world, but this is actually the most effective form of sabotage, and one that doesn’t require direct interaction with the person controlling your opponent’s team. If you’re able to successfully bribe one of your opponent’s players, your opponent himself/herself won’t be aware of it until it actually happens. Bribing can cause affected players to be terribly off-form on the pitch, or it could cause them to deliberately injure a teammate, which is a nice twist to this feature. So how can you ensure that nobody bribes your players? Prioritize the Loyalty attribute. Sign players who are classified as Gold, Silver, or Bronze, and upgrade their Loyalty to decrease the chance that they’d bite if someone offers them a bribe. We’ll be talking more about the information on top of the game screen, but since we’re still discussing sabotage, we’ll discuss one piece of info on that part of your screen – the Heat Level indicator. You want to pay close attention to this indicator, as it shows the odds that you will be busted by the police and sent to prison for engaging in illegal activities such as attacks, bribes, and vandalism. Your Heat Level will also tell you the chances of your shenanigans succeeding or not; higher Heat Levels are usually a sign that your tactics won’t work successfully. Now that we’ve finished the subtopic of sabotage, let’s move on to quests, which you should work on completing as early on in the game as you could. These quests, like in other games, are designed to ease you into the game and keep your team up to speed, at least in the early goings. We would suggest you focus on quests until you reach level 7, for the simple reason that this is basically your orientation to the game, and Stanga’s way of easing you into the flow of things as a beginner. While you can complete quests at any time regardless of your level, they do get more complicated and time-consuming as you level up, though this improves the quality of your rewards. On the top of the main game screen, you’ll see details on your finances, as well as your progress in the game. Do not overlook these details, as the level indicator shows you what level you are in, and how much XP you need to make it to the next level. Matches, quests, and achievements are all worth some XP, so keep yourself busy if you want to level up quickly. There are three forms of currency in the game – money, gold, and budget points. Money is the game’s common currency, and it allows you to upgrade your players and improve their attributes, pay for different types of sabotage or defenses against sabotage. You will also need money to sign new players and boost your buildings. Gold is the game’s premium currency, and you can use it for a variety of ways, including upgrading your facilities and allowing players to skip recovery times when hurt. As this is a premium form of currency, it is much rarer than gold, and if you don’t want to pay real money for gold packages, there are some ways you can earn it for free. Still, we wouldn’t worry much about gold if we were you, as it isn’t uncommon for players to make quick progress without having to rely on gold. Lastly, budget points are earned when you level up, earn achievements, do well in tournaments, or complete league seasons. You can also earn budget points simply by logging in and playing, even for just a few minutes, every day. Budget points are basically what signifies how much money you can spend, as dictated by your club’s directors and other top executives. There really isn’t much to discuss about the city builder features of Underworld Football Manager. But the basic thing you have to remember is that you’ll be taking over a club in a run-down city when you’re just starting out. That means you’ll only have a couple of similarly run-down buildings, and will have to level up in order to unlock more buildings and gain access to them. These buildings all relate to your football club, and play specific roles in the game. So with all that in mind, you’ll want to upgrade those buildings to make them more beneficial to you and your club. As we said in the game overview/refresher, this is not the game for you if you’re fine playing by yourself and taking on AI-controlled opponents. 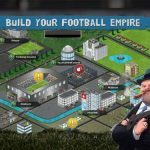 This is a social football management game, and by adding friends in the game, you won’t just have potential opponents for League and Tournament play, but also a source of assistance for upgrading your buildings. You can also call on them for help to get you out of prison, should you end up behind bars for sabotaging someone else. Likewise, they can help you if an opponent is particularly hell-bent on revenge, or simply wants to pick on you with sabotage for one reason or another. That said, we recommend adding real-life friends and strangers alike, because without friends, you may find it harder to move forward faster in Underworld Football Manager.